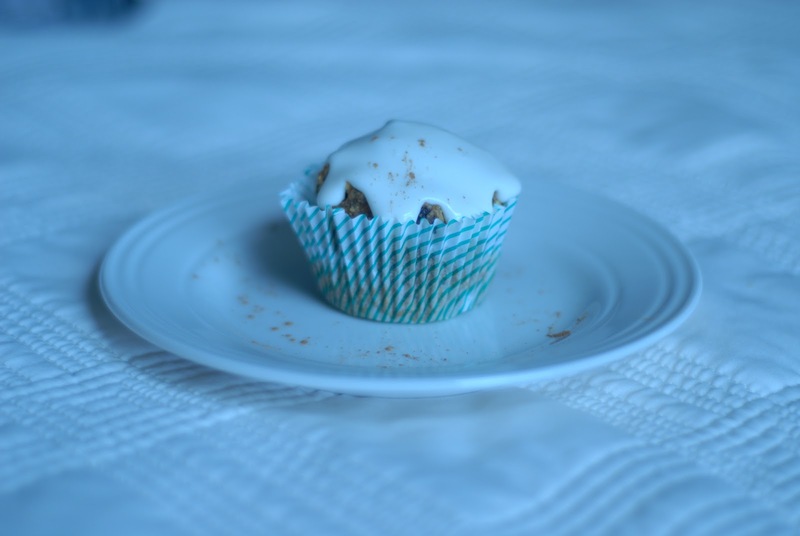 I don’t know what has me on this carrot cake kick, but I made this healthy version of carrot cakes and turned them into cupcakes/muffins for my little guy and I. This was also my first go at using Chia seeds to replace the egg for an antioxidant boost! 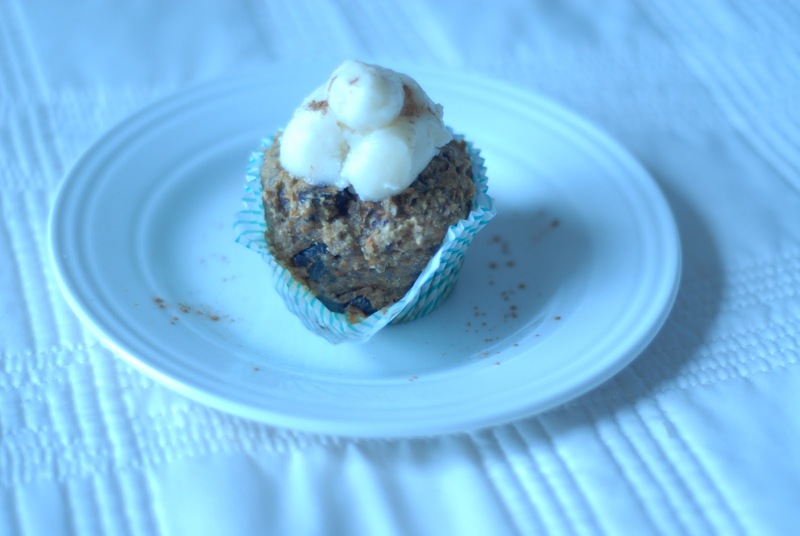 I try to limit the sugar in baked goods, so I used dates as the sweetener for this treat and it was delicious. Sweet, rich and dense- a tasty way to fill you up in the morning or keep you fueled for the afternoon! 3) In a large bowl combine dry ingredients. 4) In a food processor, or by hand, chop dates finely into a paste like consistency. Combine with just melted butter to bread up the dates. 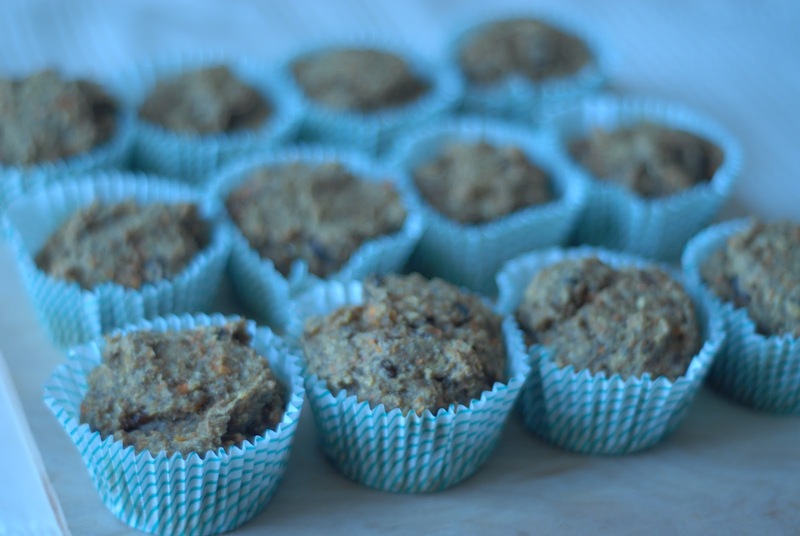 5) In a bowl, combine chia seed gel, carrots, raisins, banana and date-butter mixture. 6) Pour wet mixture into the dry. Stir to combine. Add orange juice and mix until all ingredients are incorporated. Here is one topped with a Swiss meringue buttercream frosting. Read below for a less rich, healthier frosting. 2) Whisk coconut milk and honey. Let set for 30 minutes in the refrigerator. 3) Whisk coconut milk honey mixture with cream cheese. Next Post Carolina Sweet Potato "Fries"